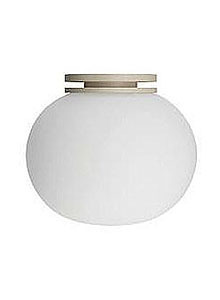 Buy Flos Lighting products and a wide range of Italian Modern Lighting Fixtures at Stardust. No home is complete without a beautiful modern pendant light or floor lamp by Flos, the epitome of Italian style. Our full range of Flos lights includes chandeliers, pendant lights, table lamps, wall sconces & ceiling lights. Flos offers high-quality and sophisticated Italian modern and contemporary lighting designs including the stylish Arco Floor Lamp, Parentesi and LED IC S Pendant Lights. Flos: The Essence of Italian Lighting Design. Flos is the most iconic brand in Italian lighting design at Stardust. The exceptional collection of lamps by Flos encompasses over a half a century of modern lighting, from Achille Castiglioni of the late 1960s through Philippe Starck of current times. The Flos collection contains a diversity of mid-century modern and contemporary representations by the best designers of the 20th century. The Flos lamp collection has been exhibited in the permanent collection of the MoMA New York and constitutes an invaluable addition to the history of modern Italian lighting. Flos lighting has become one of the most influential names in Italian lighting design. Flos creates historically significant modern design lamps by leading designers for both the home and the office. Every Flos lamp is manufactured in Italy. Proof of its historical significance is the large and ambitious Taschen book "1000 Lights", with its collection of the 1000 most important lamps from the 1960s until today. The book opens with the first Flos Taraxacum 88 Lamp by Achille and Pier Giacomo Castiglioni, and continues through almost 50 years of lighting history with 55 Flos lamps referenced including the iconic Biagio by Tobia Scarpa. Flos is specialized in modern lighting. This collection from Italy contains some of the most captivating contemporary lighting fixtures you will ever see. The modern designer lights from Flos includes a varied selection of classic mid century modern lamps and contemporary lighting for both residential and commercial uses. The attractive Flos lamps are perfect for upscale residential projects, restaurants, retail stores, hotels, musea, etc. 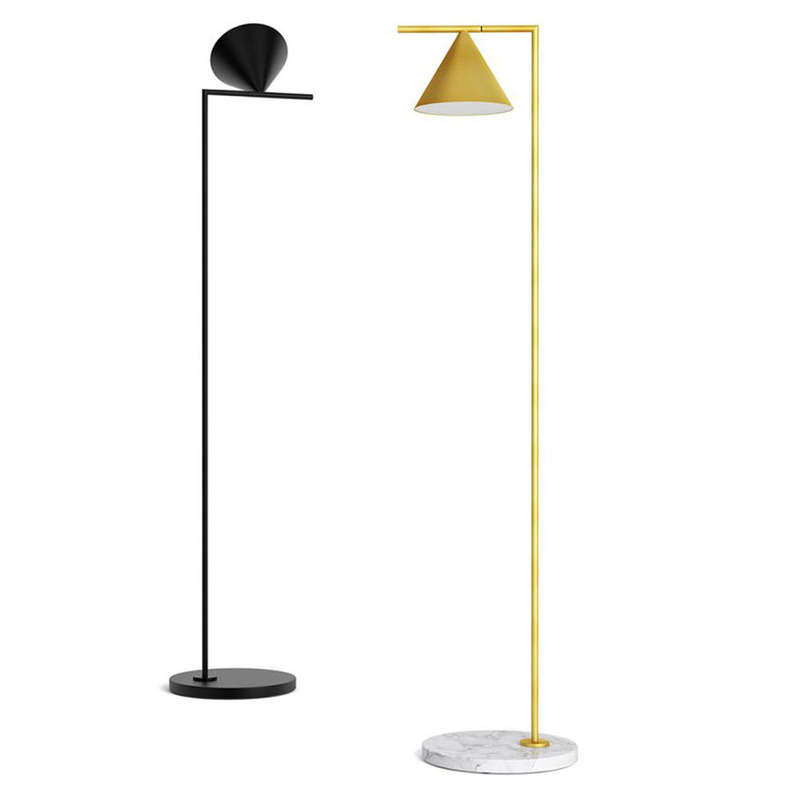 The strong synergy between quality craftsmanship and appealing design lines has cemented Flos as one of the most iconic lighting companies of our time with a collection of uniquely attractive lamps to satisfy every budget and taste. Flos is a reputable name in Italian design and is offered by Stardust Modern Design in the US. Many Flos lamps are included in museum collections including the Toio Flos Lamp in the New York MoMA design collection, the New York Metropolitan Museum of Art, the Stedelijk Museum in Amsterdam, the Centre Pompidou in Paris and the Victoria and Albert Museum in London. The Flos lamp catalog includes the ubiquitous Arco, Archimoon, Tobia Scarpa's Biagio Lamp from 1968, the Glo-Ball lamps, Miss K and Taccia glass pendant lamps. Some newer contemporary introductions include Marcel Wanders's Skygarden & Zeppelin chandelier, both designed by Dutch designer Marcel Wanders. A pivotal figure in the success of Flos is its partnership with Italian design prodigy Achille Castiglioni. His curriculum vitae exemplifies the ideal of good design and his creations have rightfully so achieved cult status. Prolific in a wide variety of product design fields, Castiglioni left a legacy of objects that are utterly beautiful and ever functional. Gino Sarfatti, master of light. Born in Venice in 1912 and with an educational background in engineering, Gino Sarfatti set out to change the landscape of Italian lighting design. Sarfatti left a legacy of brilliant lighting fixtures; each of them a tribute to the pure beauty of the light bulb. A forerunner of the "less is more" philosophy of Mies Van Der Rohe, Gino Sarfatti designed his lamps without too many bells & whistles. His light fixtures captivate because of their honest simplicity, a design of all times. Spanish designer Patricia Urquiola has a fresh and natural approach to the subject of design and surprises us with a feminine & playful twist on a variety of home furnishings including lamps and chair designs. We love her Chasen Lamp which uses the shape of a whisk used in Japan for tea ceremonies. Philippe Starck has had a profound impact on contemporary furniture & lighting design. Philippe Strack design is recognized all over because of it's groundbreaking and often playful approach to regular objects. Starck's latest design for Flos is the Bibliotheque Nationale Floor Lamp, a magical bookshelf on which the books rise in flight towards the light. Ron Gilad brings a breath of fresh air to Flos with is straight-forward and innovative contemporary styling. Ron Gilad created the new Goldman Lamp; a restyled edition of the traditional bankers lamps with green glass shades from yesteryear. The Dutch Enfant Terrible of the design world, Marcel Wanders has made in impressive mark on the contemporary design scene with groundbreaking lights such as Can Can and Skygarden. His designs instill a fresh attraction that can be attributed to combining classical elements in a contemporary package. Flos was established by Dino Gavina in the late 1950s, a firm individualist who was all but obsessed with the idea that Italy should become the homeland of a new interior design culture. Its name was a clever invention by Pier Giacomo Castiglioni. Flos is the name of a genus of butterfly and Pier Giacomo thought it was the perfect name for the new lighting company as it was intended to transform Italy's lighting landscape. After having met the inventor and small-sale lighting manufacturer Arturo Eisenkeil from Merano, and, having created many new pieces of modern furniture (with Achille and Pier Giacomo Castiglioni, Ignazio Gardella, Carlo and Tobia Scarpa and other luminaries of Italian architecture), Dino Gavina resolved that it was also time to create new lamps. 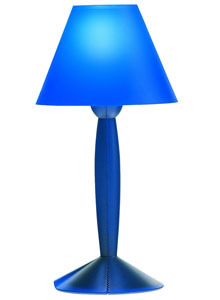 One of the first lamps was the Cocoon Lamp. The cocoon technique used be Eisenkeil for these Cocoon suspension lights - a resin sprayed onto a metal frame - seemed an ideal starting point. Before long the cocoon method was taken up by the Castiglioni brothers as well as George Nelson who used it to create his iconic Nelson Bubble Lamps. Rather than decorating a light bulb, the aim was to give a sense of magic to the light it emanated, filtering it through an enchantingly nebulous material that was captivating precisely thanks to its cloud-like quality. Interesting to note is that around this time George Nelson started to experience with the same cocoon technique for his Howard Miller Bubble Lamps. During the 1960s, Flos turned out a constant stream of successful lamp inventions such as Arco, Toio and the whole Flos Cocoon series of lamps. It also took over the Arteluce catalog which included the significant 2097 Chandelier by Gino Sarfatti; another brilliant Italian designer of the 1950s. Flos had the good fortune to work with the two Castiglioni brothers from its earliest beginnings, and continued working with only Achille after the premature death of Pier Giacomo in 1968. The Arco Floor Lamp was designed by Achille Castiglioni in 1962. From all the modern lamps we carry at Stardust, we have a very special affection for this lamp, a Stardust Staff Pick and a highlight in our collection. Its expressive shape makes it a true 20th-century design icon. It features our favorite material by far; pure Italian Carrara marble. Carrara is a town in the Italian Alps where the quarries are located which produce this fantastic marble. The marble (Michelangelo's favorite) from this area has been used in Italy since Roman times. Every time we see an original Arco, its quality and design features leave us astounded - a big word, but the only right word - to describe this fantastic arc floor lamp. This stylish marble and steel floor lamp is evidence of Castiglioni's belief that "everything is sculpture". Make sure to use a chrome-topped light bulb and Arco will create an amazing starburst pattern on your ceiling while provide a gently diffused downward light. The minimalist Model 265 wall lamp was designed by Paolo Rizzatto in 1973 for Flos. The 265 lamp by Paolo Rizzatto provides a unique solution for wall-mounted lighting with its ingenious design that combines form with function. Merging the best of industrial engineering and sculptural grace, the pared-down Paolo Rizzatto Model 265 lamp is a design icon unlike any other. Designed by the Castiglioni brothers for Flos in 1962, the Taccia Lamp is a practical and elegant piece of Italian lighting design displaying timeless good looks. A stylish table or floor lamp, with reflector and a base shaped like a classic Roman column! Two recent introductions from the Flos lighting store at Stardust; Flos Mod 548 Lamp, a beautiful Italian modernist table lamp originally designed by Gino Sarfatti in the 1950s and Goldman by Ron Gilad, a contemporary take on the classic green-shaded library desk lamp. 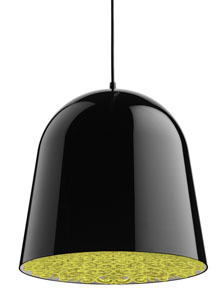 Flos Design: Modern Italian Lighting from the Flos collection at Stardust.